Looking for that big impact wall art without a lot of effort? How about giant letters! 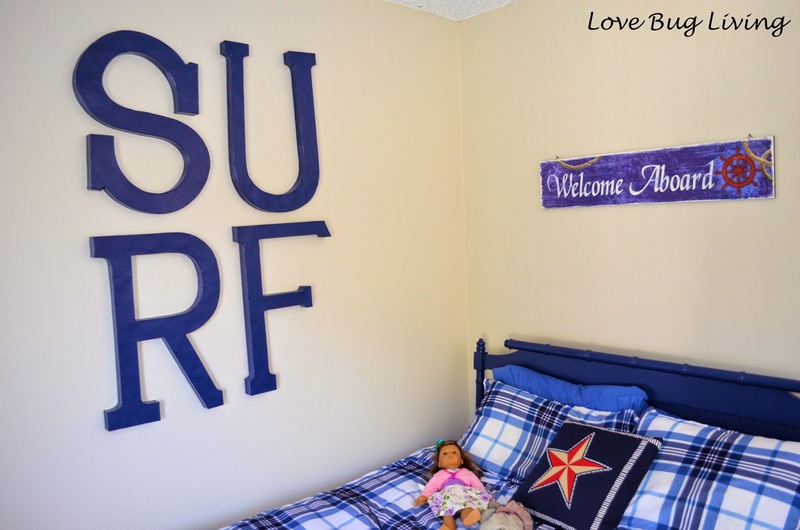 We are working to update our new beach condo, and are slowly changing the girls nautical bedroom into a surf themed bedroom. 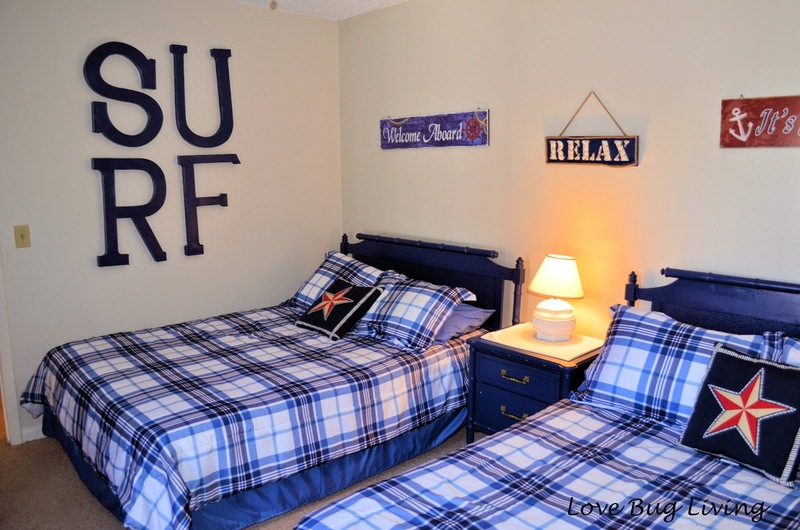 We are keeping the blue bedding for now and transitioning the wall art as we have time. I have been working on a surfboard to hang over one bed and hope to have a dolphin or shark art piece over the other, but we needed something large for the side wall. 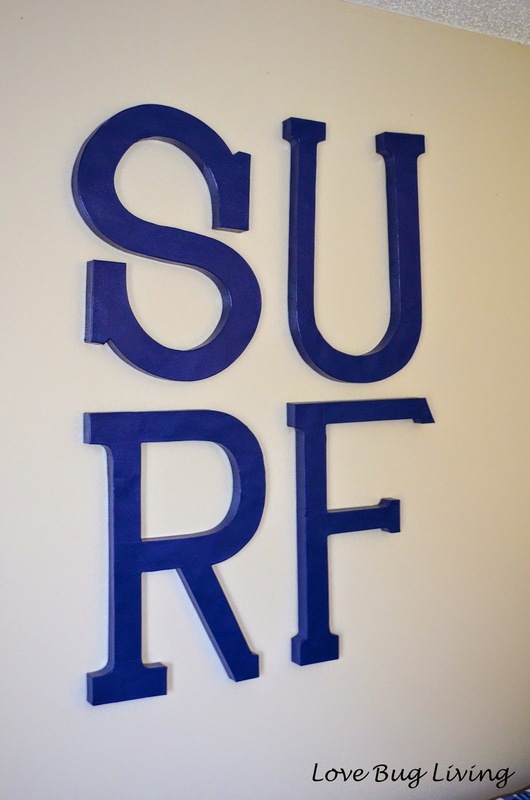 I decided to go with the word SURF in 24" letters. I found these cardboard letters at JoAnn's for about $10 a piece, but got them for less with coupons! 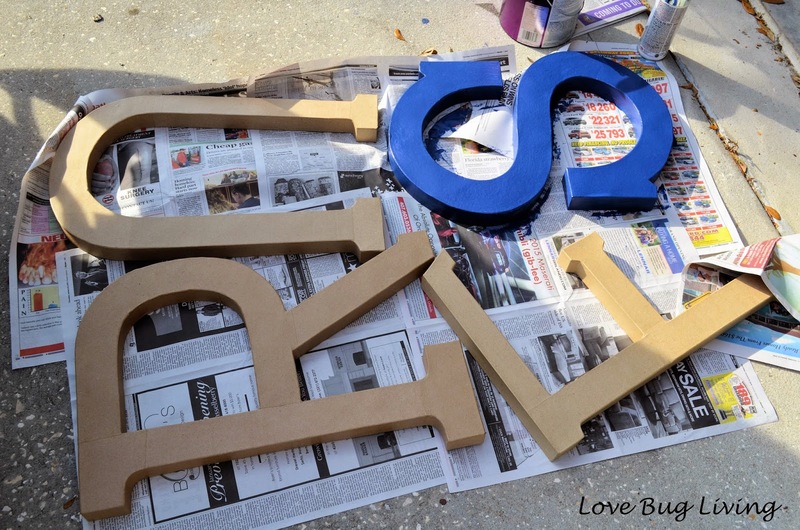 I used leftover blue paint that had been used on the bedroom furniture to paint the letters. You could probably use spray paint as well, but I wanted to make sure the shades matched exactly. After the letters had dried, we used velcro picture hanging strips to hang them on the wall. The letters were light enough that the velcro would work, plus it won't ruin the wall. I'm super happy with how the letters came out and how much of the wall they take up. Now we just need to work on the other artwork for over the beds. Have fun thinking for the perfect word to hang on your wall!